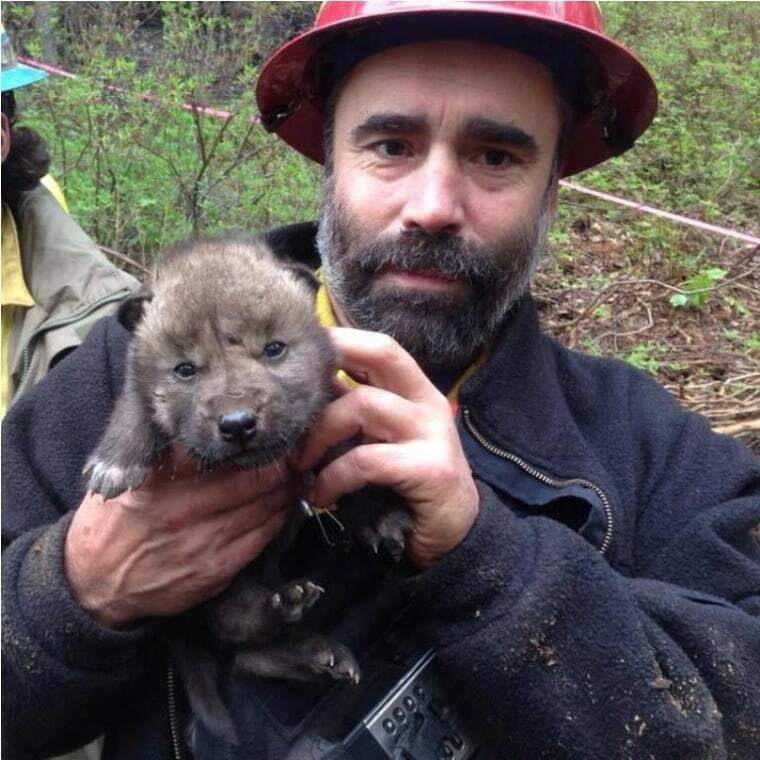 Firefighters stumbled across a den of 2-week-old wolf pups left behind when the rest of their pack ran away from a wildfire in Alaska’s Kenai National Wildlife Refuge. The pups were dehydrated and hungry, but emergency responders were able to rescue five of them -- two females and three males. They’re currently staying at the Alaska Zoo until a new home can be found. The pictures are incredibly cute. Way above the Chicago pavement – 103 floors up, to be exact – a California family got more than they bargained for during a visit to The Ledge, a tourist attraction atop the Willis Tower Skydeck. When the visitors went out onto The Ledge, a series of glass boxes suspended on the sides of the building, the surface appeared to crack right under their feet. But Willis Tower officials said the family was never in danger, and that the glass itself did not crack -- only the protective coating. Still, at 1,353 feet above the ground, a cracking surface is bound to get your adrenaline pumping. 3. Does Silicon Valley Have a Diversity Problem? Google seems to think so. In a blog post, Senior Vice President Laszlo Bock wrote Google is “not where we want to be when it comes to diversity” and published a breakdown of the company’s workforce by gender and ethnicity. Of Google’s 46,170 employees worldwide, 70 percent are male, 61 percent are white and 30 percent are Asian. According to the Bureau of Labor Statistics, only four percent of software developers in the tech industry are black and five percent are Hispanic. Tech companies have blamed a lack of diversity on the pool of job applicants. There has been no love lost in this year’s Miami Heat-Indiana Pacers NBA playoff series. But last night, Pacers guard Lance Stephenson upped his Jedi mind tricks to another level. During a dead ball, Stephenson was guarding Heat superstar LeBron James. A slow-motion replay caught Stephenson blowing in James’ ear – like something you’d see during a playground basketball game. James was less than thrilled. In the end, the Pacers won. No telling what will happen when the two square off again on Friday. “Reading Rainbow,” a defining show for so many who grew up in the 80s and 90s could soon be coming back. LeVar Burton launched a campaign to bring back “Reading Rainbow” as a web series on crowdfunding site Kickstarter. Within hours, he hit his goal of raising $1 million. Burton told Deadline Hollywood, “Never in my wildest dreams did I imagine that we would reach our goal on the very first day. It’s been pretty overwhelming.” He says this money will get the series launched and into 1,500 classrooms. The Irwindale City Council voted to drop its declaration that the local Sriracha plant was a public nuisance. The hot sauce maker Huy Fong Foods and the city of Irwindale have battled in the courts since complaints were filed last year over the plant’s smell. At one point, other cities were even courting Sriracha. Now, both Sriracha and Irwindale have discussed a possible solution behind closed doors. No word yet on their compromise.